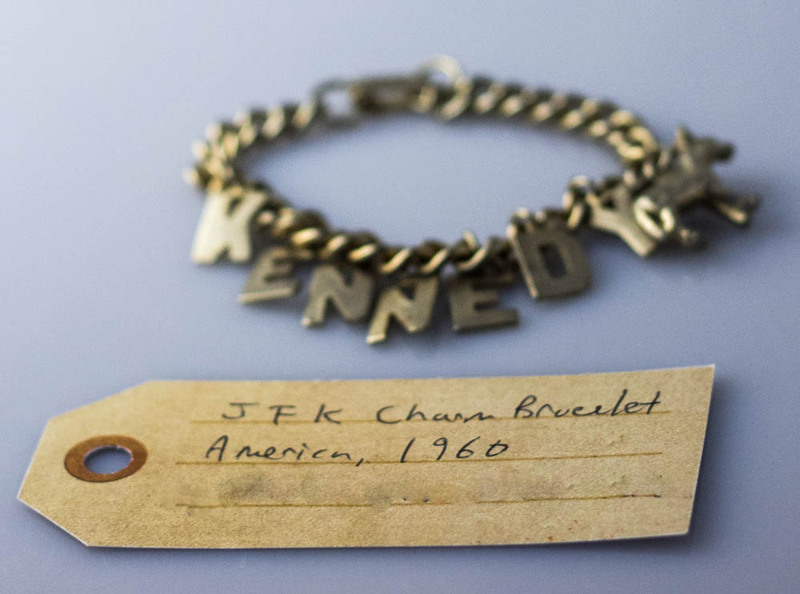 Kennedy charm bracelet | That Belongs in a Museum! I have a very small object as well. It dates from 1960 and it’s a charm bracelet. And it has the letters K-E-N-N-E-D-Y and a little donkey attached to it as well. It’s a John F. Kennedy charm bracelet. It has kind of a story behind it. So I grew up in Ohio, which is the birthplace to 7 presidents, mostly bearded, mostly very minor, and the one from the Cleveland area, where I’m from was James Garfield, and so I when I was a kid, probably about 6 or 7, my grandma took me to Garfield’s house in Mentor, OH, and it was great because at that point it was just kind of run by batty old ladies and they just let me do whatever I wanted to do, and they had his desk from when he was in the house representatives, because he served in the house, he was speaker of the house, he was the house representative for about 27 years and they let me sit at his desk, and here I was this 7 year old boy, I’m sitting at the desk of a president, and I’m like I could be President… Really I’m sitting at the desk of James Garfield who was President for all of like 90 days.